An executor is a personal representative, named in the deceased's will, whose job it is to oversee settlement and distribution of the estate. Among other tasks, the executor's duties may include paying funeral costs, settling the deceased's debts and any taxes owed, and releasing assets to the beneficiaries of the will. The executor also has a fiduciary duty to the deceased's estate and beneficiaries, meaning that he must act with honesty and good faith, bearing in mind the best interests of these two parties at all times. If a will includes a testamentary trust (a trust that takes effect at death), the will may designate a separate trustee for the trust. Often, however, the will's executor is appointed as the trustee as well. The trustee is the legal owner and supervisor of the assets in a trust, charged with the responsibility of managing the assets for the trust's beneficiaries by prudently investing those assets and protecting them from loss. Thus, California trustees have a fiduciary duty to both the trust and its beneficiaries. For example, the trustee can't receive any financial gain from his dealings with the trust, must keep trust property completely distinct from his own, and can't pass on his duties to another party unless the will specifically gives him that right. When an executor or trustee breaches his fiduciary duty, it's basically a breach of trust and the law takes such a breach seriously. Embezzlement, the use of trust or estate funds for personal gain, or any refusal to provide an accounting to entitled beneficiaries will constitute a breach of fiduciary duty serious enough to justify removal of the executor or trustee. Serious incompetence in managing the estate may also justify removal. Furthermore, if the will or trust document defines certain behavior as grounds for removal, the probate court will generally honor these guidelines even if the trustee or executor did not breach his legal duties. The first step in removing an executor or trustee is a petition filed with the probate court requesting removal. Only someone with an interest in the will or trust -- typically a beneficiary or her guardian or legal representative -- has the right to file such a petition. The probate court may ask for evidence or documentation in order to make its decision. When the probate court finds significant breach or mismanagement, it can remove the executor or trustee and appoint a successor. Many wills and trusts name successor executors or trustees in case of such an occurrence and the probate court will usually honor this request. If the document doesn't name a successor, the court will often appoint a professional, such as an attorney, to carry out these duties for the estate or trust. 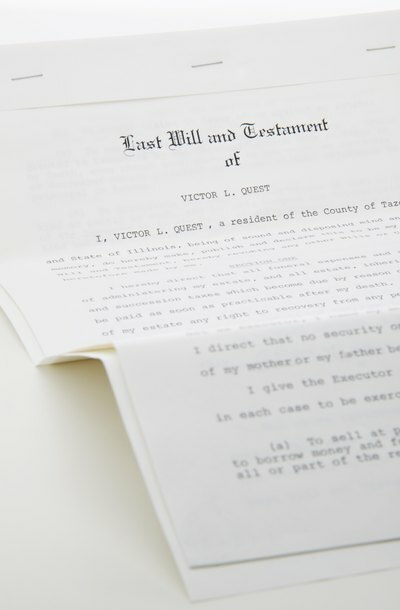 EstateSettler: What Are the Responsibilities of the Executor?